Do you love to see exotic fish photos? Do you like the sea creatures? If you have anything common with me then you are a lover of marine life. These photos of guniefowl pufferfish is for viewers like you. 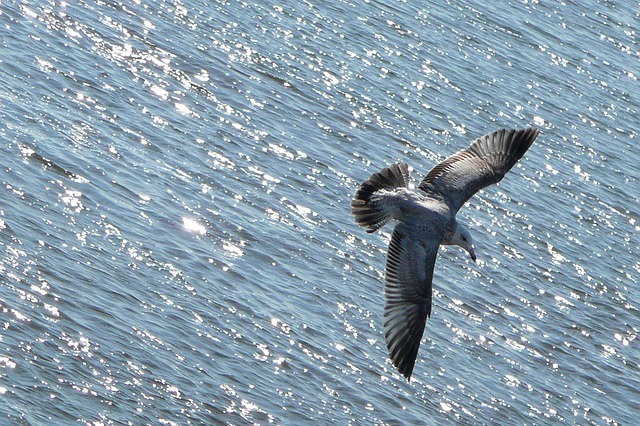 All the time taken by me to collect and select these photos are to make you happy. 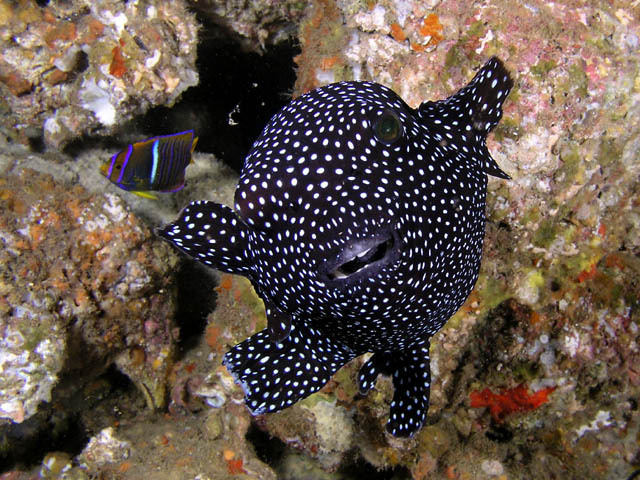 The fish guineafowl puffer has a scientific name: Arothron meleagris. They belong to the class Actinopterygii or "ray finned fishes". There are more than 120 pufferfishes. 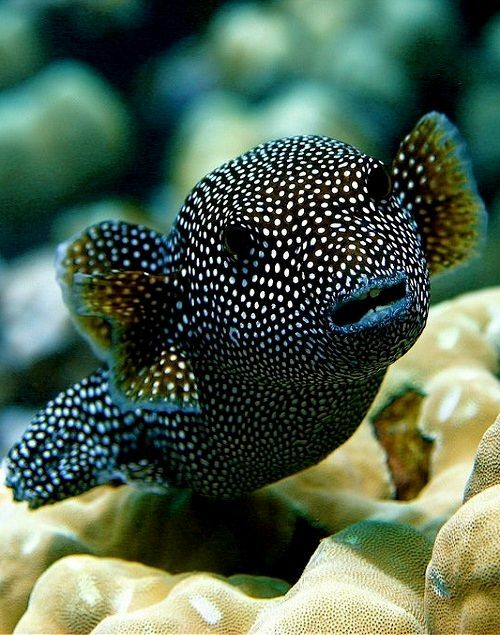 Another name of these types of fishes is toadfish. Our model is one of them. Source of the above image is pinterest. 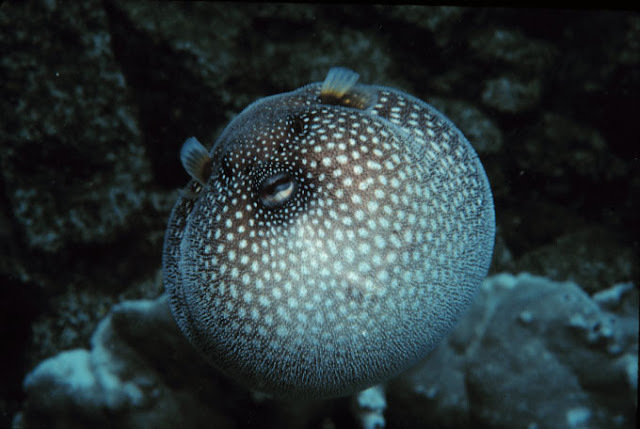 Pufferfish can inflate their body. The inflated fish looks like a ball. Here in this photo posted above the puffer looked just like a pig of the Angry Birds game series. 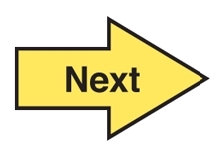 It would be perfect if the color was green. 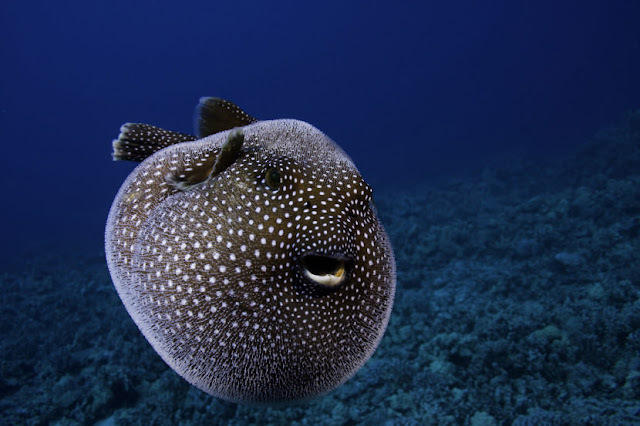 In the above photo the pufferfish looked like a happy sumo wrestler. It is cool, is not it? 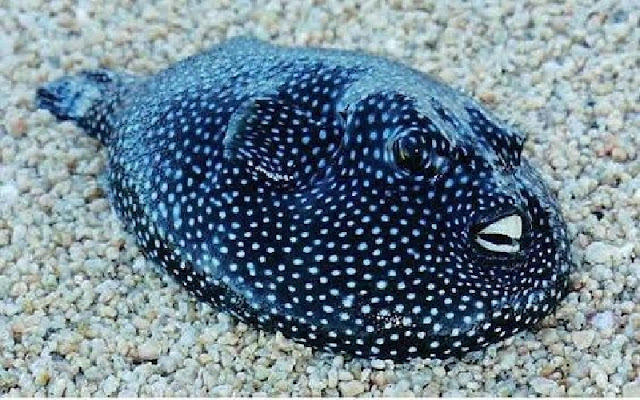 The Guineafowl Pufferfish appears a bit confused. Probably, he never saw a diver before. 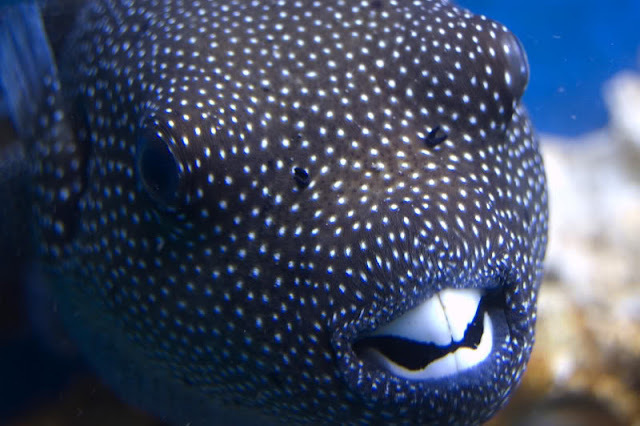 One of the most notable feature of a guineafowl pufferfish is its massive teeth. Its teeth and lips has some resemblance with us humans. That's why it looked eerie. 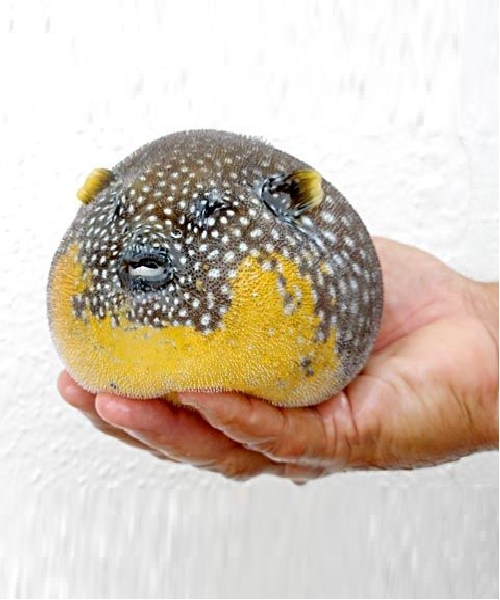 The deflated balloon, this is how a pufferfish looked when it becomes deflated. 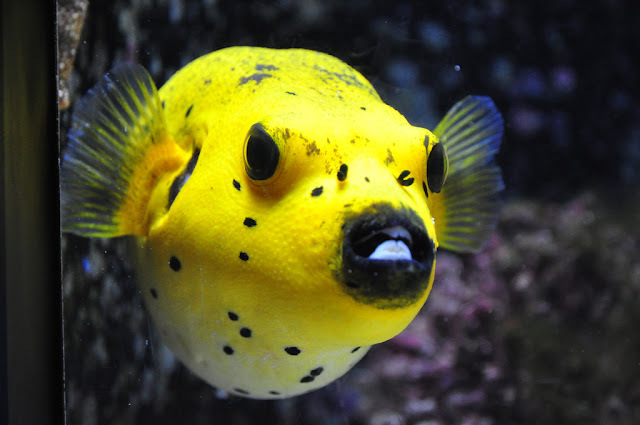 That pufferfish does not look like a fish at all. You can call it a weird bird or some kind of rodent. That photo is no doubt one of the best of the whole collection. Don't forget to share it with your friends. We need your love to gather more eyeballs on our photo collection.